Firemax Hyper Drive | Tyre Sale now on the cheapest largest range of tyre prices online in New Zealand! Scroll down to see products! Hyper Drive is New Zealand's leading car tyre retailer. We are 100% Kiwi owned and operated with a team of over 35 people dedicated to making your tyre buying and easy and as convenient as possible. Our philosophy from the start is simple, we want our customers to have access to the largest range of tyre prices along with the biggest brands in car and SUV tyres all at the very best price. Some of the brands we stock are Hankook www.hankooktire.com Michelin www.michelin.com Goodyear www.goodyear.com Dunlop www.dunloptires.com Pirelli www.pirelli.com Toyo www.toyotires.com Yokohama www.yokohamatire.com Achilles www.achillesradial.com and Nankang www.nankangtyres.com . With over 100000 tyres available to buy online we are New Zealand's largest online tyre retailer. www.hyperdrive.co.nz Hyper Drive has been helping New Zealand vehicle owners with tyres for over 18 Years so we know what tyres you should have on your car. 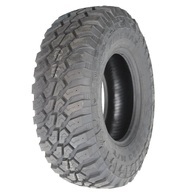 We have been the pioneers of buying tyres online in New Zealand. Our online store allows you to choose from over 250 carefully selected Hyper Drive FIT installers nationwide. These installers have allowed us to create the largest network of tyre fitting location in New Zealand. You can be sure we have one near you. Our installers are all chosen so you can enjoy the same market leading Hyper Drive service anywhere in New Zealand. We offer both phone and online ordering and fully fitted tyres to suit your requirements. 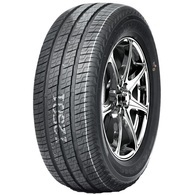 Whether you are looking for tyres for your car tyres, van tyres, SUV tyres or 4x4 tyres we can help. 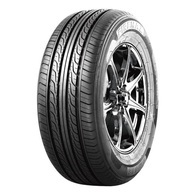 From entry level tyres to high performance tyres, you’ll find we are very competitively priced. We offer big discounts on the big brands or cheap tyres and big discounts on top brands. One this is for sure we never discount the quality and all our tyres come with 5 years manufacturing guarantees. If you can’t see the tyre you’re looking for give us a call. We have over 15 years experience. One of our experts will help find the tyre you are looking for or help you choose a suitable alternative. Founded in 2001, we have supplied and fitted tyres for thousands of satisfied customers. Many of whom have bought tyres from Hyper Drive over and over again. We listen to our customers and are proud that we have been able to create a business that has been shaped by our customers feedback and ongoing support. We really value your feedback so if you have any suggestions on how we can improve any aspect of our service we would love to hear from you. At Hyper Drive we are committed to making your next tyre purchase as convenient as possible. We hope to be able to welcome you as a customer and look forward to providing you with your next set of tyres. Shop online or give us a call on 0800449737 we are ready to help you.